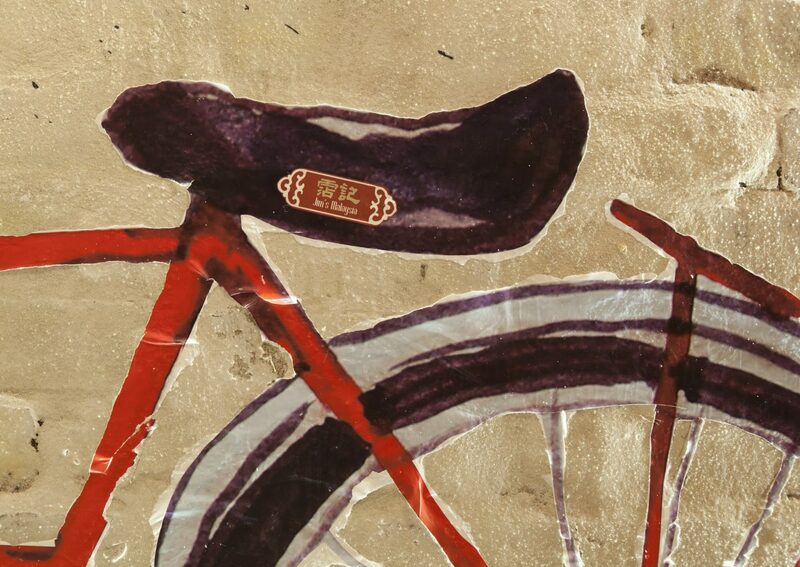 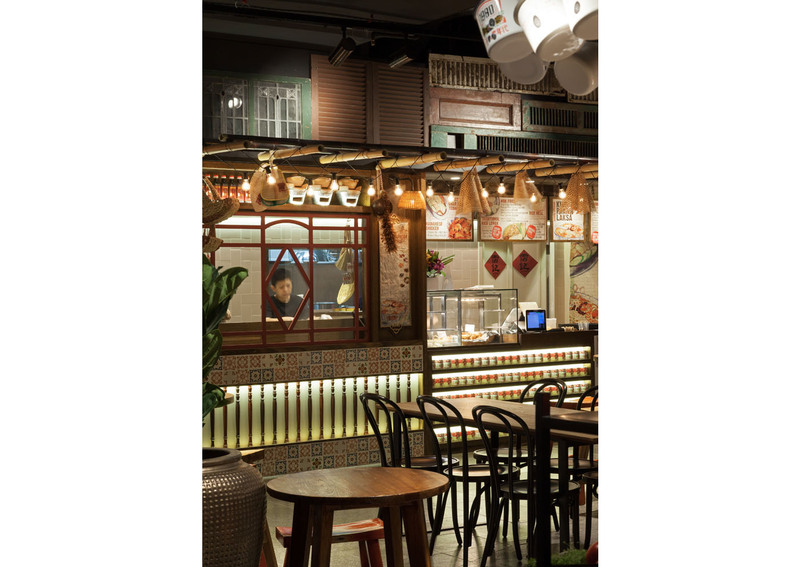 The design was inspired by the Malaysian Nyonya culture and its food. 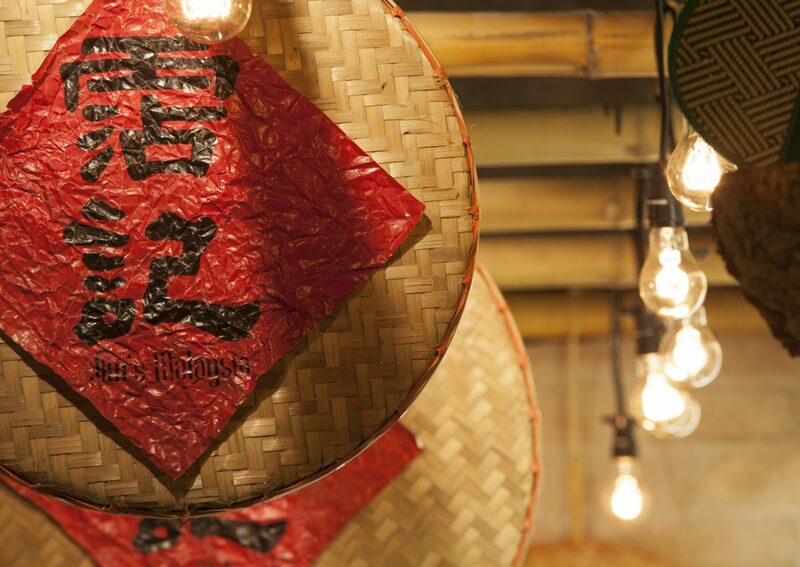 The aesthetics of this culture is evident in its lattice windows, colourful pattern tiles a daily necessities and objects. 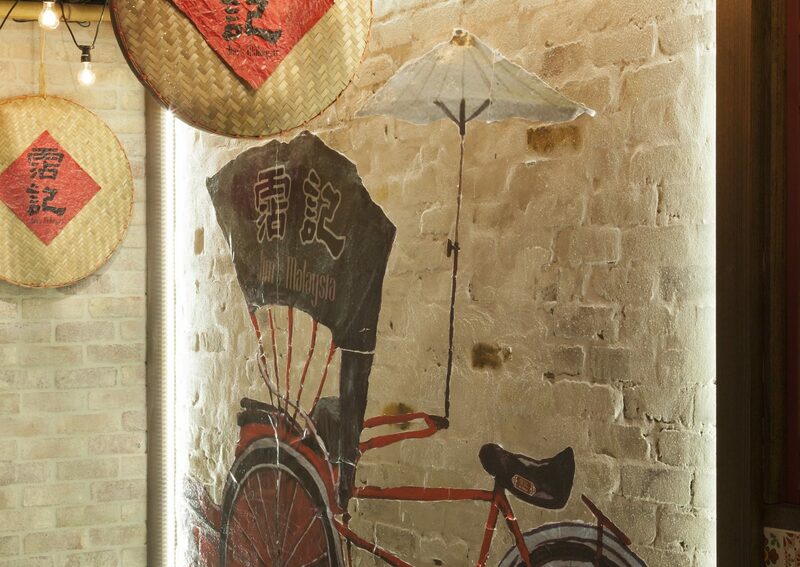 Being influenced by Chinese and European cultures, the unique patterns, geometric forms and colour have been derived from the living household objects. 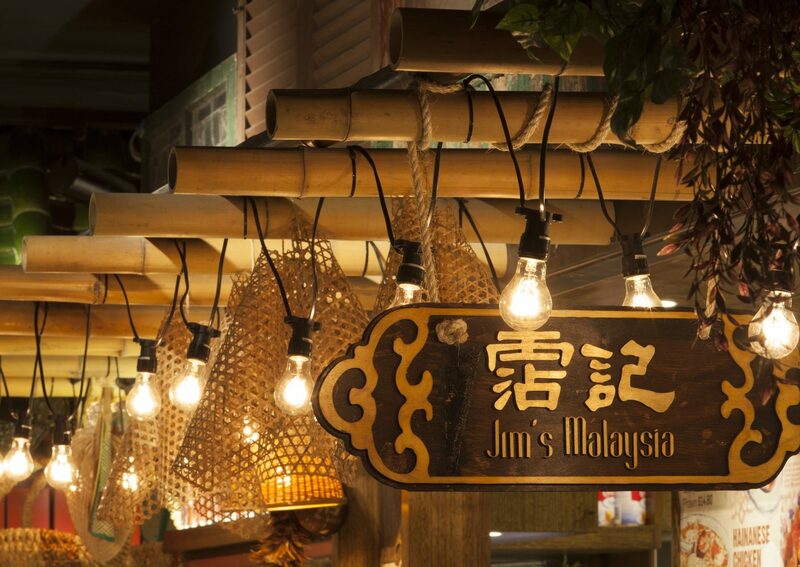 These elements have given patrons a real taste of Malaysia as it strives to leave a strong impression. 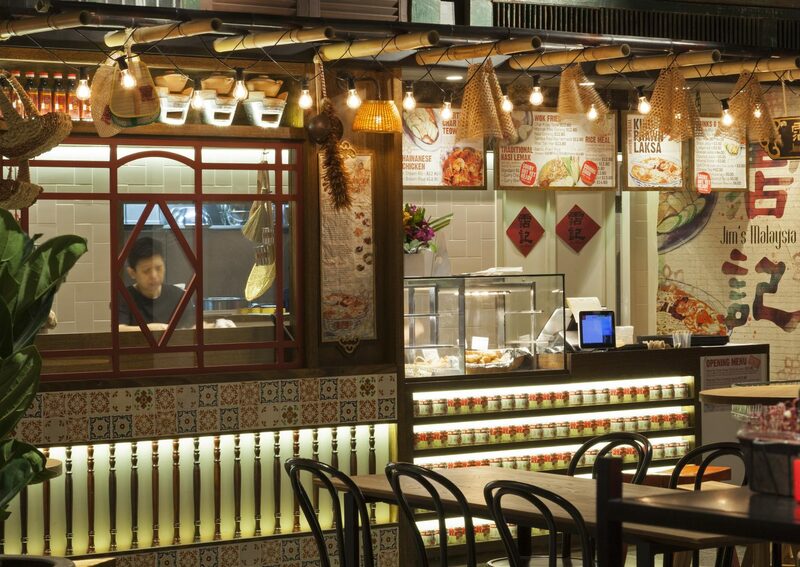 These unique elements have been developed to form the main concept and character of the Malaysian food kiosk. 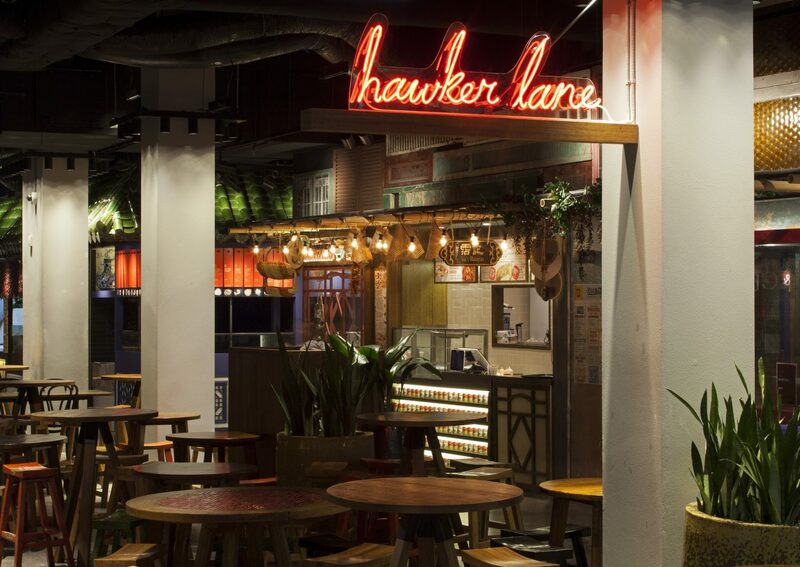 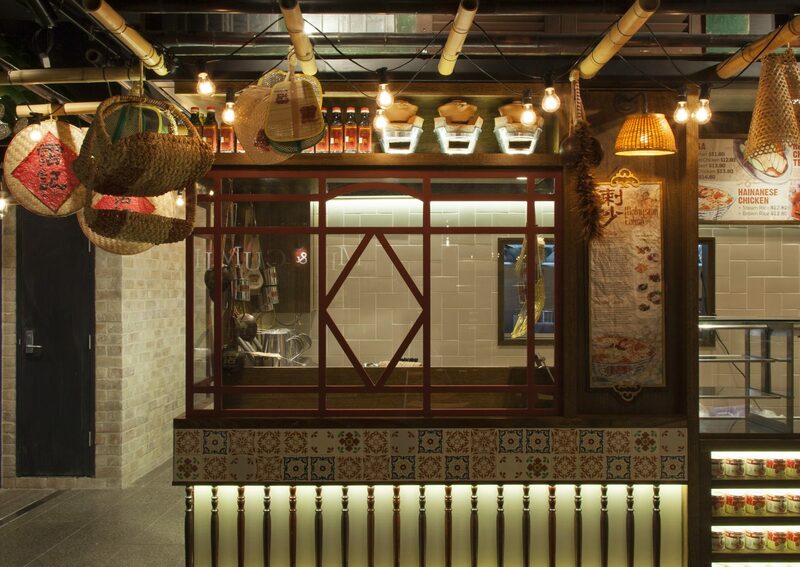 Water colour graphics were integrated into the kiosk to emphasise the authentic nature of the kiosk in which the food are hand crafted to give patrons the true Malaysian dining experience. 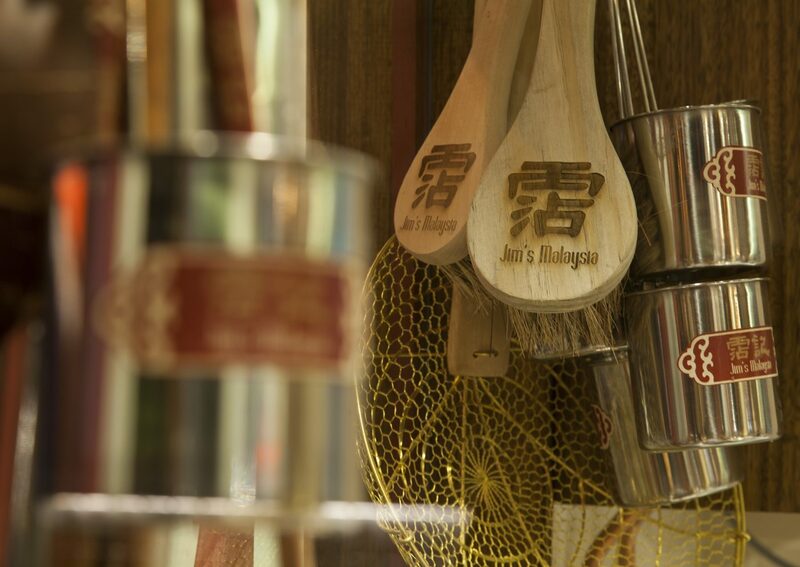 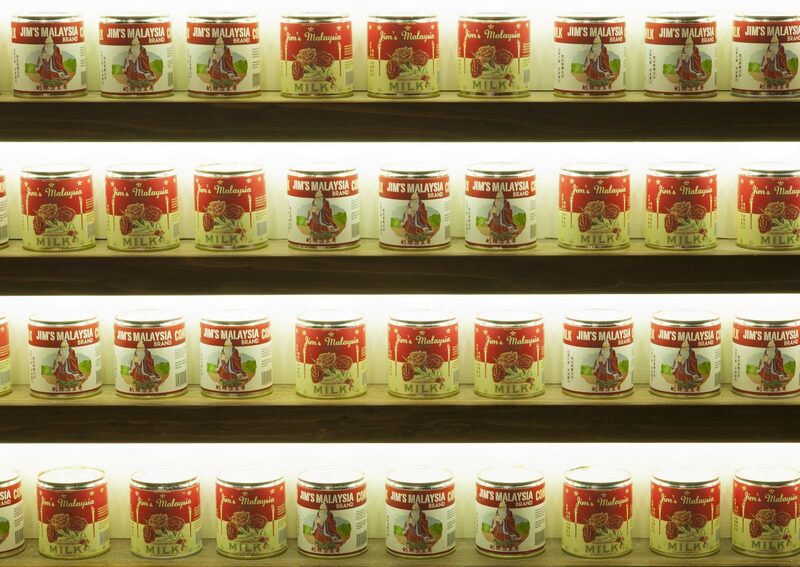 The front counter display was inspired by the timber balustrades commonly found in a typical Malaysian Nyonya house. 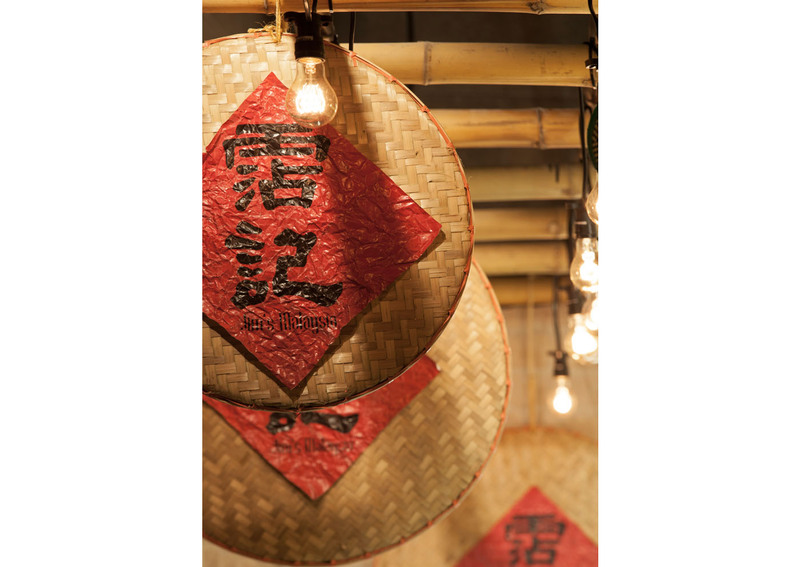 Details such as the use of bamboo sieves, fans, pots, lunch boxes and flasks acts as props to provide the overall Malaysian atmosphere.